The geographical position of Municipality of Mladenovac is considered as its most important potential and comparative advantage over neighbouring municipalities − says Branislav Jovanović, President of Municipality of Mladenovac. An increase in transit transport is quite noticable in Mladenovac. Aside from having a good network of roads, what other features of municipality are important to investors and what sets your municipality aprt from other municipalities in Belgrade ? The loan taken out by the municipality two years ago was spent on asphalting every single local road. Aside from the fact that Belgrade - Nis railway runs through our municipality, we have a customs office right next to the railway station and only ten minutes from Belgrade - Nis motorway − thus being connected to the whole of Serbia − I would like to mention two more things. The M23 regional road (Belgrade - Kragujevac), which also passes through Mladenovac, has witnessed sharp increase in traffic activities in the past few years. According to some studies, we could easily call this motorway due the sheer volume of traffic, while internal analysis carried out by Mladenovac police showed that an average of 1,500 vehicles per houre pass through the intersection of M23 road ( at the entrance to Mladenovac ). This makes the road one of the busiest in the country. To some people this is just traffic, but to me it is money. 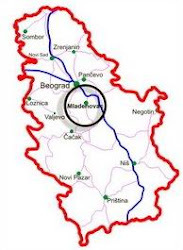 The Municipality of Mladenovac and the City of Belgrade are currently working on construction of a bypass around Mladenovac, in order to redirect vehicles coming from Smederevska Palanka to non-metropolitan roads, which, in turn, will lead to greater transit rates. All companies in Mladenovac, aside from the Petar Drapsin Concern, have been privatised. However, in my opinion, those privatisations haven`t yielded the desired results, primarly due to mistakes made by companies’ buyers. They failed to fully utilise the advantages of municipality’s geographical position and qualified workforce. Mladenovac used to be one of the biggest industrial centres in the district of Šumadija, but − due to circumstances and the historical events of the past twenty years − mass production activity died down. Bearing in mind that our municipality has been officially considered a part of Belgrade for the past forty years, I do believe that the time has come to finally start supporting SMEs, as well as the municipality’s tourist and agricultural development. The best local products sold at Belgrade’s open markets have been coming from Mladenovac for years. We also have a big agricultural produce whole sale market just near the motorway, while Kosmaj Mountain, the Markovacko and Rabrovacko lakes and Selters spa offer multitude possibilities for tourist activities in our municipality, which gravitates towards our capital city. We sholuld also mention the boom in construction activities (be that residental or business premises) since 2000. 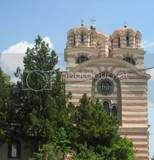 Although major capital investors are quite cautious, so speak many individuals and families are increasingly moving to Mladenovac, where living expenses are much lower. Many housing units have been built and continue to be built here, with an average price of 600 euros per square metre. Quite a few people understand just how important is to be close to Belgrade and just how competitive the prices of residental and bussiness units are here, as well as the price of land plots compared to those in Belgrade proper. The municipality is currently implementing two large investments : the first is acqusition of a large military complex Sajmište, which has over two hectares of land in the town, and the second is construction of a contemporary shoping centre on the site of the former open market, also downtown. Does the municipality have an industrial zone and, if so, si it zone’s infrastructure in place ? I will respond to this question in one sentence: the entire municipality of Mladenovac is an industrial zone that has complete infrastructure and qualified workforce. What can the municipality offer potential investors at this moment? Do you have special incentivies for investors and what industrial branch do you consider most suitable to invest in ? Mladenovac is town open to investors. When I say "open", I mean that anybody seriously contemplating launching production in our municipality will be given full logistical support from me, as the municipality’s president, and all relevant services. So far, I have been personaly involved in expediting the process of issuing building permits to potential investors and I intend to continiue to do so in the future. I don’t want to suggest what branch they should invest in, but I will tell you that Belgrade is rapidly expanding. Belgrade is the biggest food consumer in the country and when you are stuck up in your skyscraper office, surrounded by smog and noise, a weekend in the wooded Kosmaj area or Selters spa, which is only half an hour from Belgrade, will eliminate every ounce of stress in you. I think this is where the profit lies. 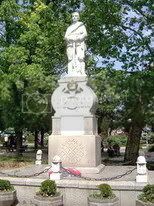 Anyhow, I would like to invite all investors to come here or meet with me in order to see for themselves what Mladenovac can offer. How long does it take for an investor to obtain all required permits and documentation for doing business here ? Me and my associates view every new job created here as a small victory for our municipality. When it comes to isuing permits, there are certain legal deadlines that we cannot make any shorter − since they dont’t depend the Municipality of Mladenovac − but any permit, document or information that an investor needs from our municipal services will be provided the same day or will be waiting the next morning, on the investor’s desk, togheter with his morning coffee. What are the most important investors that have invested in your municipality so far ? I don’t want to repeat my earlier coments about major capital or the global economic crisis which, unfortunately, has become an excuse for all our problems. I have established offical contacts with the Slovenian and British ambassadors, who have conveyes their impressions to interested investors. You can see this interes materialised just few hundred meters from place where we are currently situated − at the entrance of Mladenovac − where we are building a large shoping centre stretching across several tens of thousands meters.